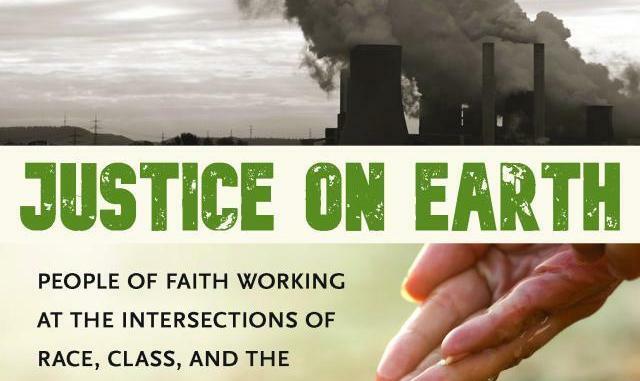 Join us for the 2018-2019 UUA common read, Justice on Earth: People of Faith Working at the Intersections of Race, Class, and Environment, edited by Manish Mishra-Marzetti and Jennifer Nordstrom (Skinner House Books, 2018). As we kick off Climate Justice Month (World Water Day to Earth Day), Alison Kendall and James Witker will facilitate a three-part discussion on the intersectional challenges of combating today’s environmental crisis and its many interconnected ills. Together, we will read and respond to this engaging anthology of essays from diverse authors within our greater UU movement. We will also consider recent developments like the proposed Green New Deal, Los Angeles’ decision to shutter natural gas power plants, and the latest international climate news. We plan to meet for the first session on Sunday, March 31, 3 pm to 5 pm. At a time when racial justice, environmental justice, and economic justice are seen as issues competing for time, attention, and resources, Justice on Earth explores the ways in which the three are intertwined. Those on the margins are invariably those most affected by climate disaster and environmental toxins. The book asks us to recognize that our faith calls us to long-haul work for justice for our human kin, for the Earth and for all life. It invites us to look at our current challenges through a variety of different perspectives, offers tools to equip us for sustained engagement, and proposes multiple pathways for follow-up action. Justice on Earth is available at inSpirit: UU Book and Gift Shop and copies will be available for purchase at the RE table in Forbes Hall.